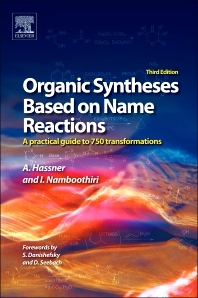 Organic Syntheses Based on Named Reactions is an indispensable reference companion for chemistry students and researchers. Building on Hassner & Stumer’s highly regarded 2e, this new work reviews 750 reactions, with over 100 new stereoselective and regioselective reactions. Each A-Z entry provides a carefully condensed summary of valuable information that a chemist needs to understand and utilize these fundamental reactions in their work, including brief practical details. The book is illustrated with real synthetic examples from the literature and about 3,400 references to the primary literature to aid further reading. Extensive indexes (name, reagent, reaction) and a very useful functional group transformation index help the reader fully navigate this extensive collection of important reactions. With its comprehensive coverage, superb organization and quality of presentation, this long-awaited new edition belongs on the shelf of every organic chemist. Professor, Department of Chemistry, Indian Institute of Technology Bombay, India. 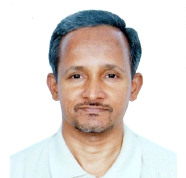 Irishi N N Namboothiri received his PhD from the Indian Institute of Science in Bangalore and was a postdoctoral researcher in Israel, University of North Texas and Columbia University. He is now a Professor of Chemistry at IIT Bombay. He co-authored the third edition of “Organic Synthesis Based on Name Reactions” with Alfred Hassner and has over 135 scientific publications.